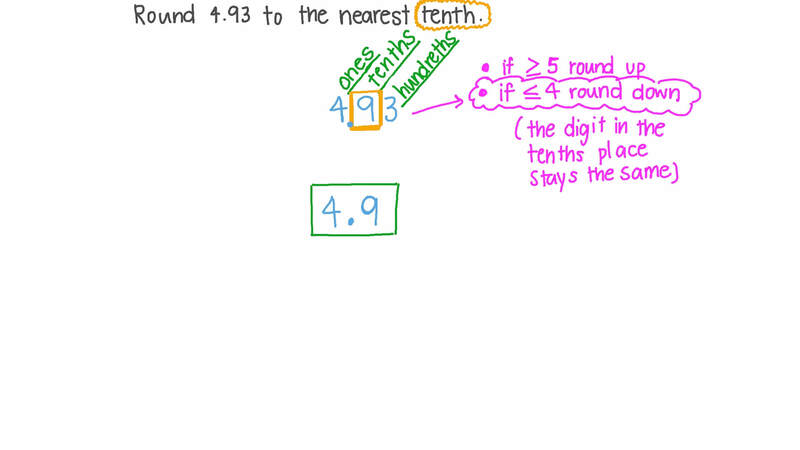 In this lesson, we will learn how to round decimal numbers to the nearest tenth and apply this in the real world. Round 0.79 to the nearest tenth. Round 4.93 to the nearest tenth. 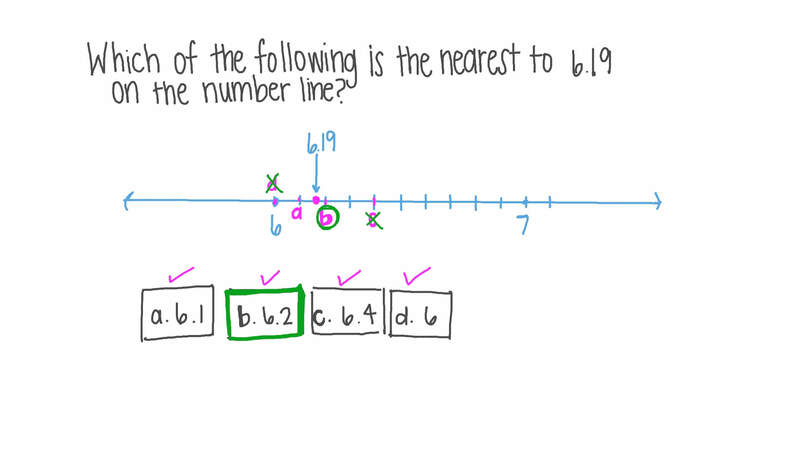 Which of the following is the nearest to 6.19 on the number line? 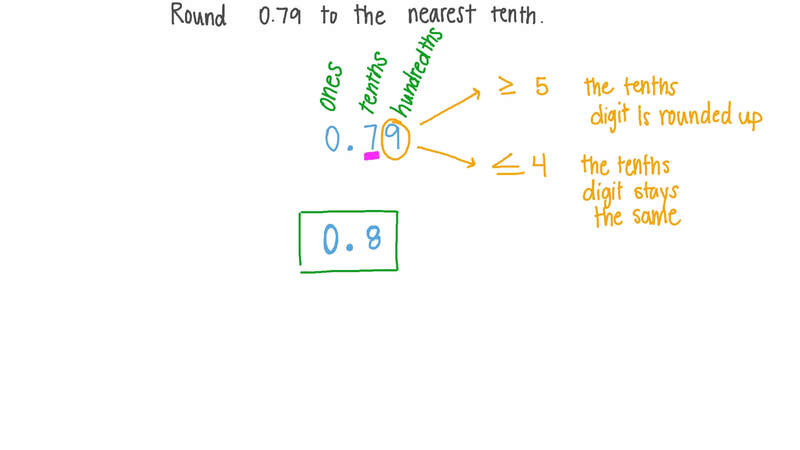 Which of the following decimals does not belong with the others when rounded to the nearest tenth? The 100-metre dash times for the Jackson Middle School boys’ track team are shown in the table. To the nearest tenth, what is the time for each runner? Round 141.96 to the nearest tenth. The average annual precipitations for certain cities are given in the table. What is the annual precipitation for Omaha to the nearest tenth? Round 9.44 to the nearest tenth. Round 40.86 to the nearest tenth. Round 842.78 to the nearest tenth.